In field trials, EnvitaTM delivers an average yield increase of 8% with existing fertility programs or provides the ability to reduce nitrogen levels by 27% and still reach average yields. Trials had a 73% success rate, with up to 20% yield increase at 100% N fertilizer. 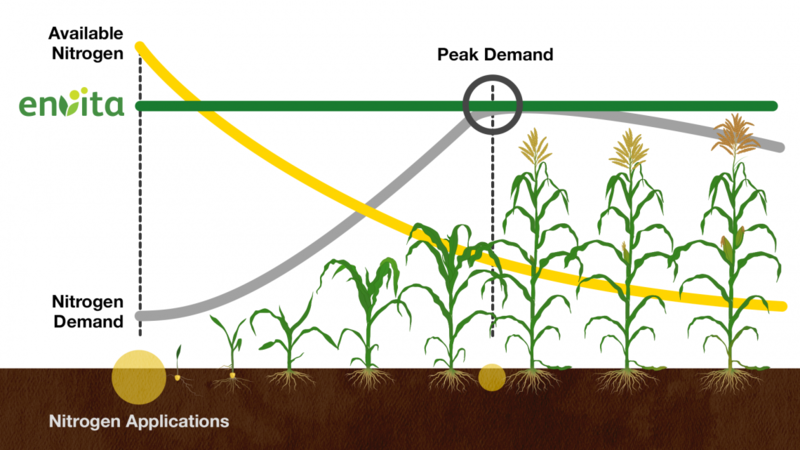 Ready to improve your corn yield or replace nitrogen fertilizer? Envita is proven to work. Register to begin.